Merry couple-days-after-Christmas! I hope everyone has had a great holiday week, and that things are looking good for the new year next week! Today I get to share a seriously awesome quiet book with you. 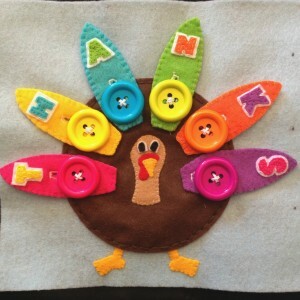 This is made by Alicia and Patrick of Felt With Love Designs, a very cool blog focused on kids' activities. Patrick does all of the designs, and Alicia transfers his art to patterns and then stitches them on to whatever they are making. And these pages are seriously impressive! The first few (the Ocean Counting page and the Sock Matching page) are based off pages from Imagine Our Life, and the others (the Dinosaur Shapes, Spongebob Squarepants, Halloween, and Thanksgiving pages) are all original. The detail put into each page is amazing. 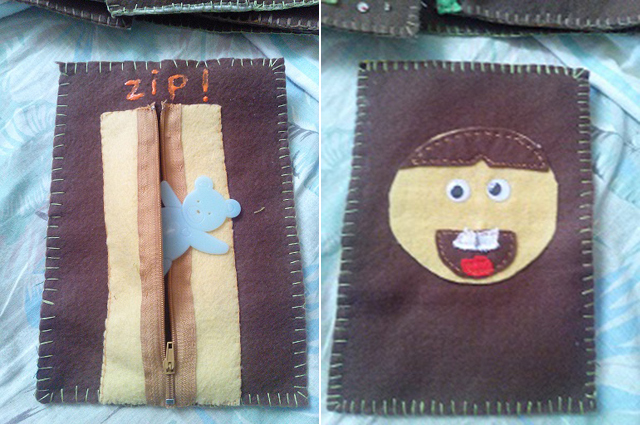 (Have I ever mentioned that I love how hand-stitching looks? Love it.) Every page has cool characteristics - the socks have magnets in them, for example, so that they can stick to their mate. I also like that they're planning for the pages to be interchangeable; that would be great for the seasonal holiday pages. Enjoy this awesome quiet book, and check out Alicia and Patrick's blog for more pages in the future! Our names are Alicia and Patrick. 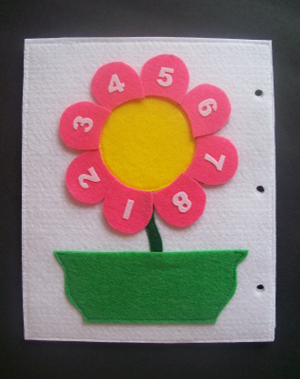 We do quiet book pages, as well as many other children's things. My husband does all of our designs (he is the artist!) and I transfer his art to patterns and then stitch them into whatever we are making. We make the pages for our daughter who is two years old. Each page takes me about a week to do (the complicated ones are more) once I have a sketch. I work on it when I have a few spare moments. It takes my husband anywhere from ten minutes to a week to get a sketch perfected for me, depending on the complexity. Some are done from patterns on Imagine our Life. We plan to offer some of ours (of our original designs) for free download from our page. I haven't bound any of my pages yet. I'm still contemplating how I want to finish the edges. 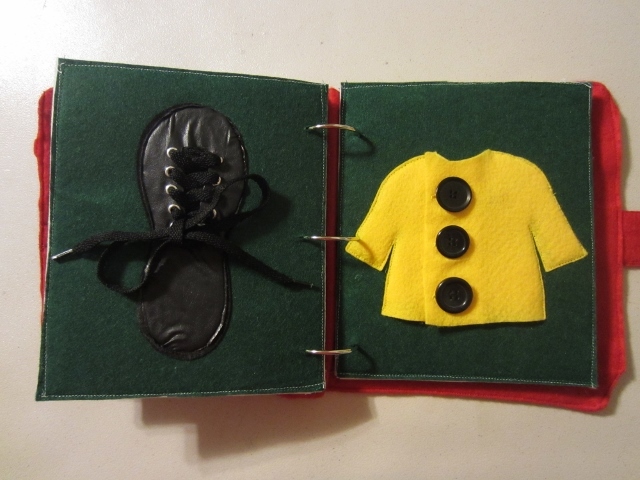 I plan to do something similar to Imagine Our Life with the binding because I want my pages to be interchangeable. 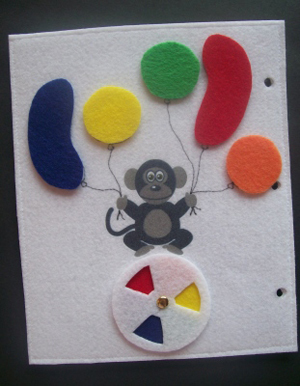 So far, I have only used felt in my pages (except thread and vinyl, obviously). I haven't added up a total for supplies. I try to use stuff I already have at home and use coupons when I need things. My favorite page(s) are the ones Imagine Our Life is currently featuring (the world map) although there are a million more of her designs I like too! 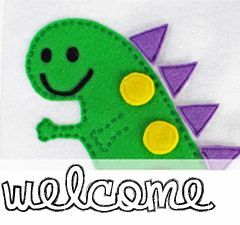 Of mine, my favorite is probably the dinosaurs and shapes page! 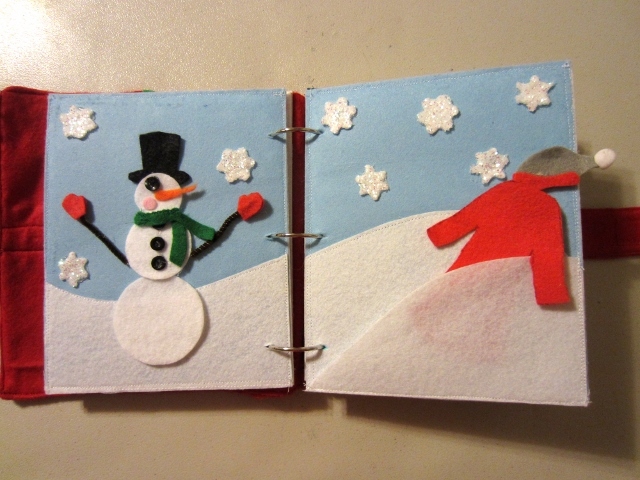 To view all of Alicia and Patrick's quiet book pages on their own blog, click here: Felt With Love Designs: Quiet Books. 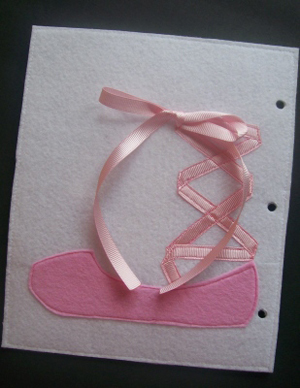 Each page has its own post with helpful instructions, pictures, and (for several of the original designs) templates. Look for new quiet book pages from them in the future, too. Thank you again, Alicia and Patrick, for sharing your talents with us! The quiet book I get to share with you today is one of the classics, one of the ones that started it all. Amy of the popular blog Serving Pink Lemonade made and posted her awesome quiet book almost three years ago, in January 2011. Very soon after she posted her templates and helpful instructions. And just a few months ago, she published her very own book on how to make a quiet book! Her book, Quiet Book Patterns: 25 Easy-to-Make Activities for Your Children, is available on Amazon.com and looks awesome. 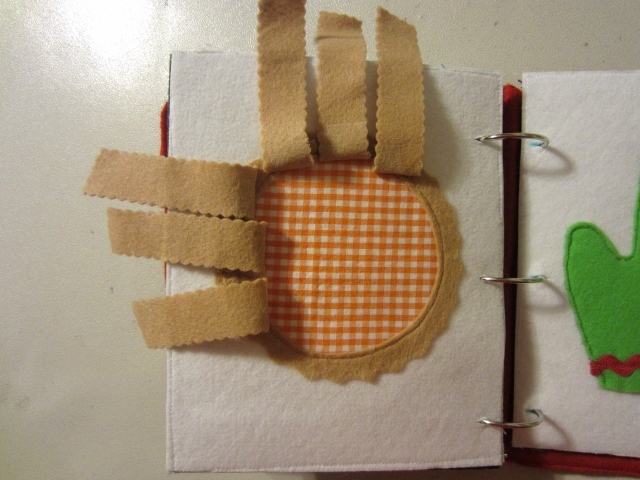 When I was making my own quiet book back in 2011, Amy's was one of the first ones I found. The quality of it inspired me, and I loved her different activities. I based my barn on her lovely, clean-cut one. 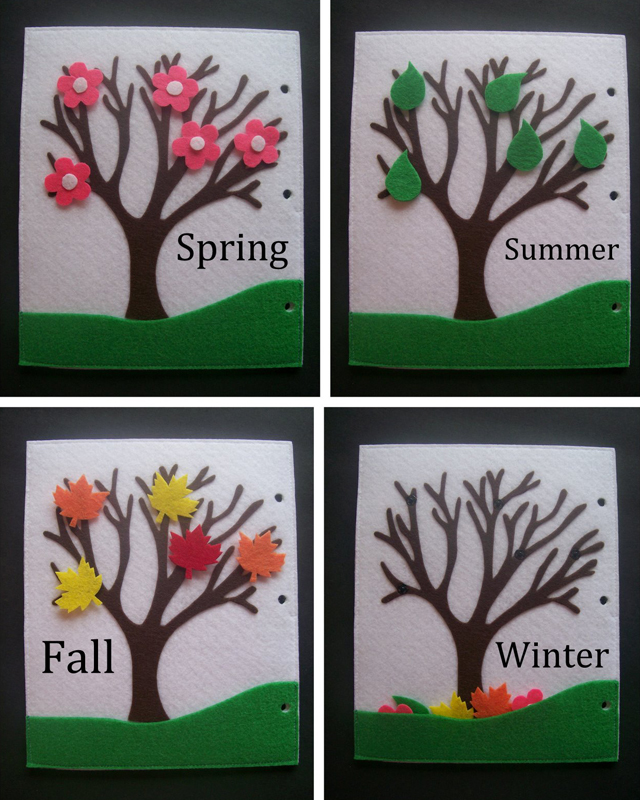 And my favorite page in her book is the seasons tree - I definitely want to make one in one of my future quiet books. 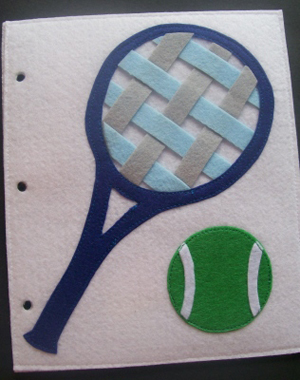 So enjoy Amy's awesome quiet book, and definitely take a look at her Quiet Book Pattern book on Amazon! My name is Amy. 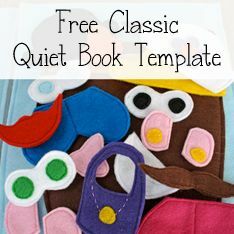 I am a mother to three cute kiddos and a recent first time author of "Quiet Book Patterns: 25 easy-to-make activities for your children"--which are completely different ideas than what I'm sharing with you today. 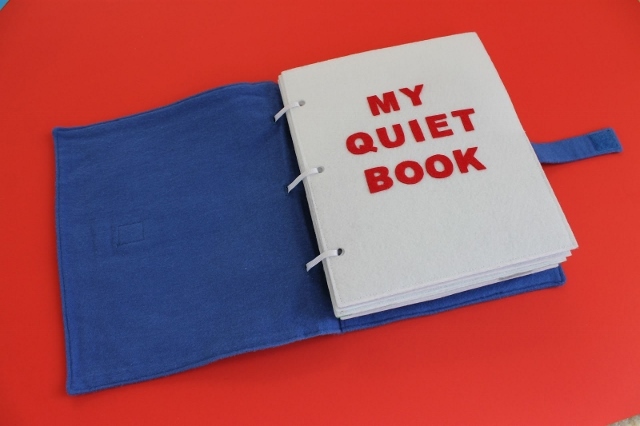 I made my quiet books for my oldest two children when they were only two and four years old. 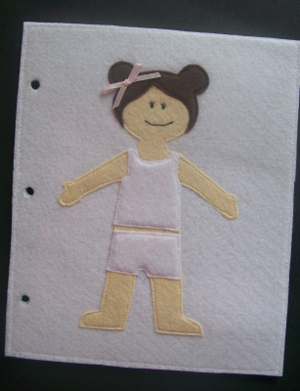 I started sewing as a young girl. I remember sewing simple straight lines to help my mom make cloth diapers for my younger siblings. I made my first dress when I was ten years old and made skirts, handbags, and even my prom dress in high school. I perfected my sewing skills in college by taking a few clothing constructions and pattern making classes. 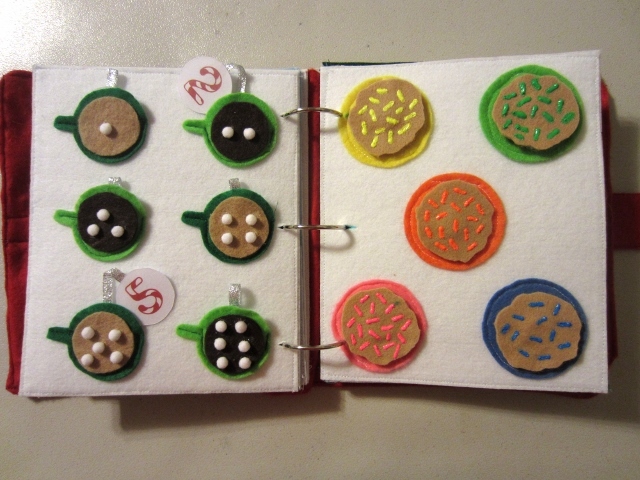 I worked on my quiet books for over the period of two to three months, a little here and a little there. 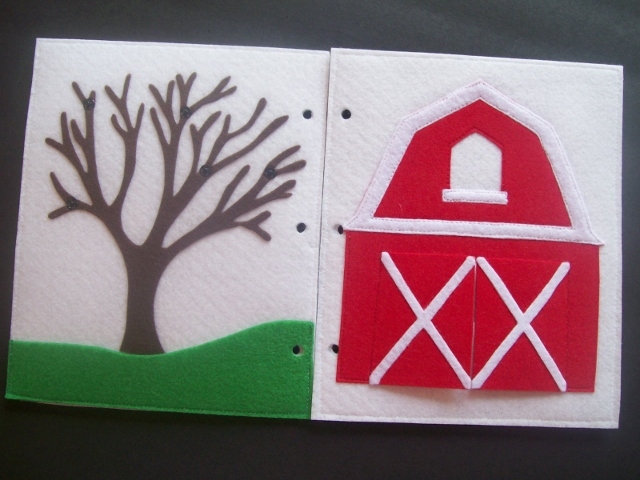 I used some of the quiet books my mom had made when I was a little girl for inspiration but I drew up each template from scratch for my own quiet book. 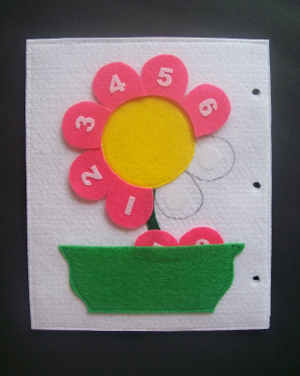 You can find the templates on my website: Serving Pink Lemonade: Quiet Book. To bind my quiet books I punched holes through the Pellon Peltex pages with a single paper hole punch. Peltex is strong and won't fray or tear so you don't have to worry about reinforcing the holes. 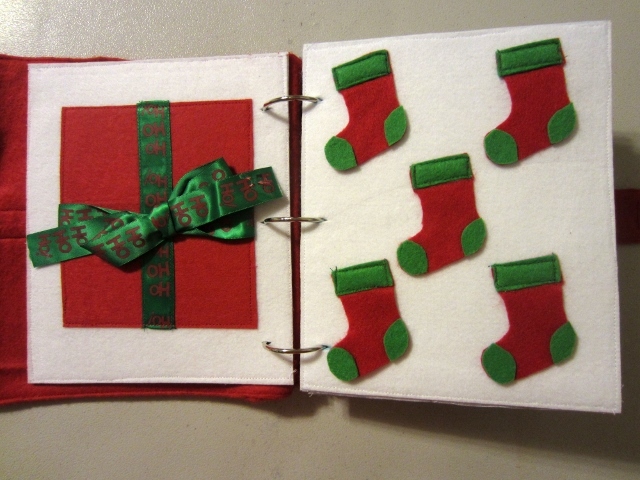 Initially I strung ribbon through the holes to bind the pages and then later replaced the ribbon with 1" binder rings. 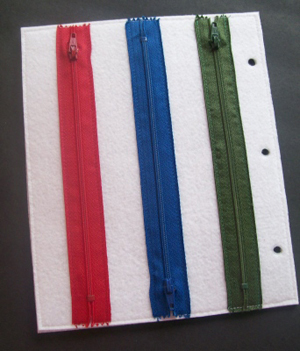 The pages of my books are made of Pellon Peltex (a thick non-fusible interfacing). 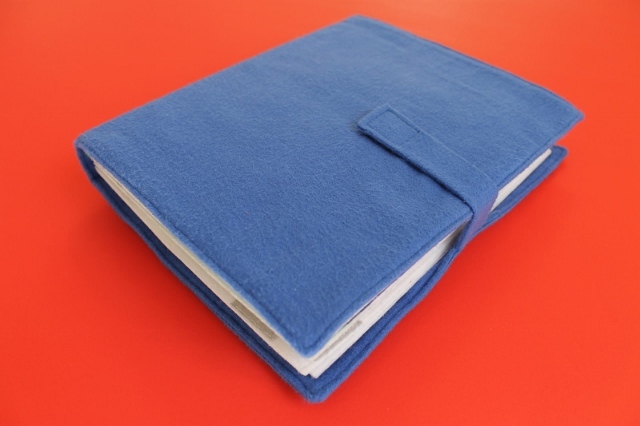 I love it because it doesn't "pill" like felt and it is sturdy and the edges will not fray. I used a lot of still felt on my pages and ironed most of the pieces on using Pellon Wonder Under so I didn't have to do very much sewing. I didn't keep track of the cost since I bought the supplies a little at a time. A lot the the supplies I already had on hand too. 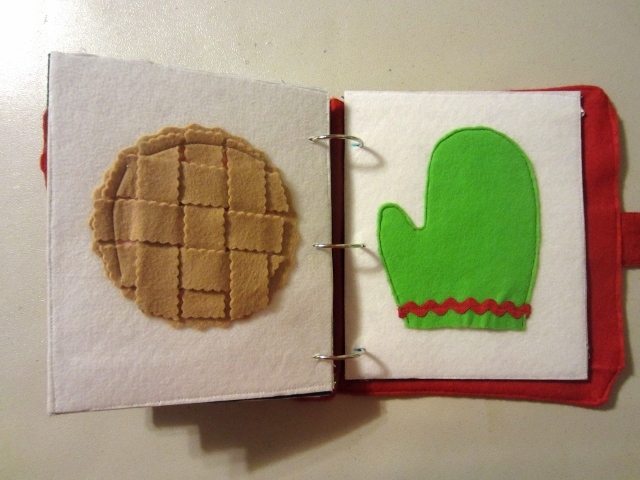 Making a quiet book is a great way to use up small scraps! 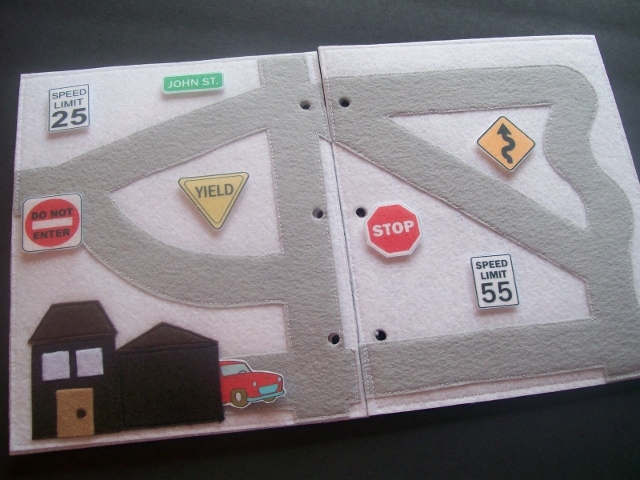 My favorite page by far is the car mat page. I love how it turned out and my kids love playing with it. I think the road signs add a professional touch. To view Amy's quiet book on her blog, with helpful instructions, templates, and supply lists, click here: Serving Pink Lemonade: Quiet Book. 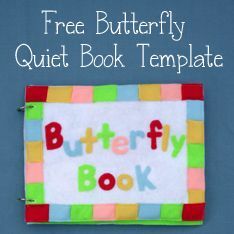 To see Amy's Quiet Book Pattern Book, click here: Quiet Book Patterns: 25 Easy-to-Make Activities for Your Children. 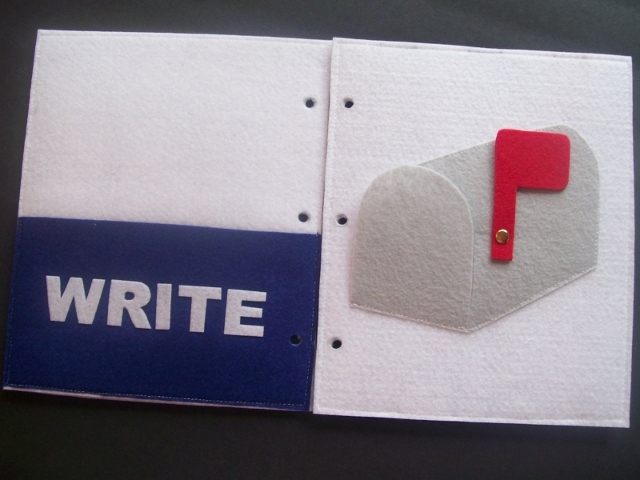 Thank you so much for sharing your book, your templates, and your instructions with us Amy! Today's quiet book comes to us all the way from Malaysia! 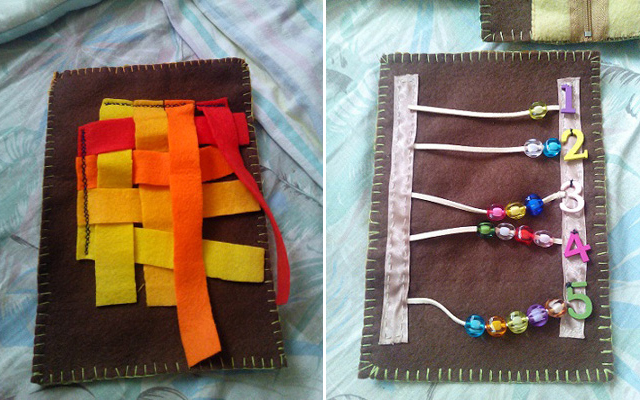 Made by Metinee for her toddler son, this book has lots of fun things to play with like snaps, weaving, zippers, and beads. I really like the day/night page; I've never seen anything like that and I think it's a really cool concept. But I think my very favorite page in this book is the cover - it's so bright and happy and I'm sure a child would love their name like that on the front of their book. So, enjoy! My name is Metinee. I'm from Thailand but now I'm staying in Malaysia and my friends here call me "Menie." I am 24/7 mommy of my only son (but sometimes I also spend my time for non-profit organization). 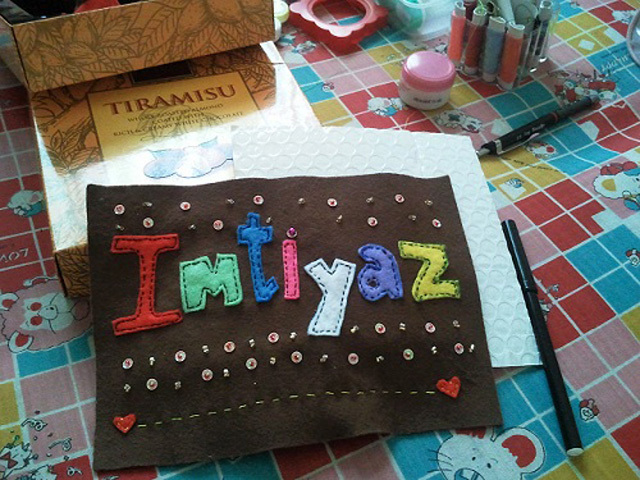 As I told you before, I made the quiet book for my dear son Imtiyaz. He is now 19 months old. When I first start to fond in quiet book, he is around 1 year. Ummmm It's quiet difficult to tell in word. I think it depends on how many time that I have in each day to finish each page of quietbook and also for my mood as well. 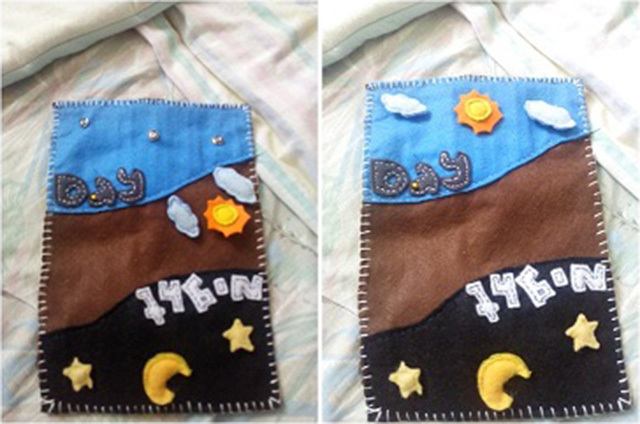 Since I hand-sew so some page of quietbook take a long time and I'm nap-time crafting as well, LOL. I use no pattern or any templates provided in Internet, rather got some inspiration from Pinterest and this blog. Since I have decided which kind of page I want to sew, so I draw a template by myself because I like to draw even my drawing skill is not good. Actually I've not finished it so I'm not binding my quietbook yet. 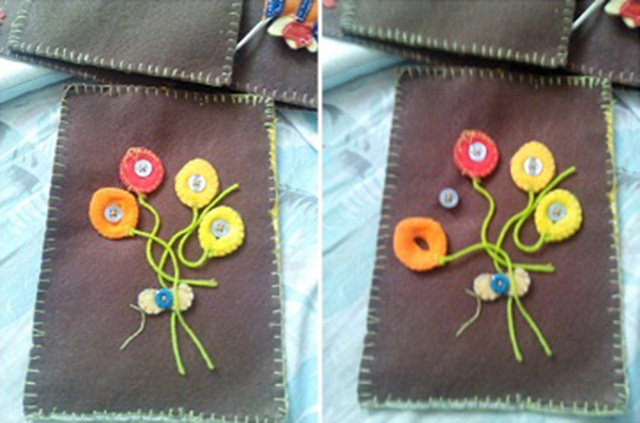 By the way, I plan to use embroidery thread or may be just using binding ring. What materials are the pages made out of? 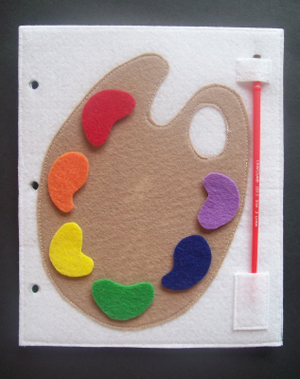 I use felt in multi-color but if you can observe from my very first page I have only five colors in a row (Pity me55+). I also use buttons, beads, ribbon, and so on for decoration. How much did all supplies cost you? I think this question is kinda hard to answer again hehe. I always fond to buy supplies and decoration accessories. By the way, I usually bought all my stock of felt from Daiso (kinda like Dollar Store, everything same price as 5Ringgint Malaysia). For the other decoration items, I usually bought it when I went back to my hometown because it's easier to find the right one. 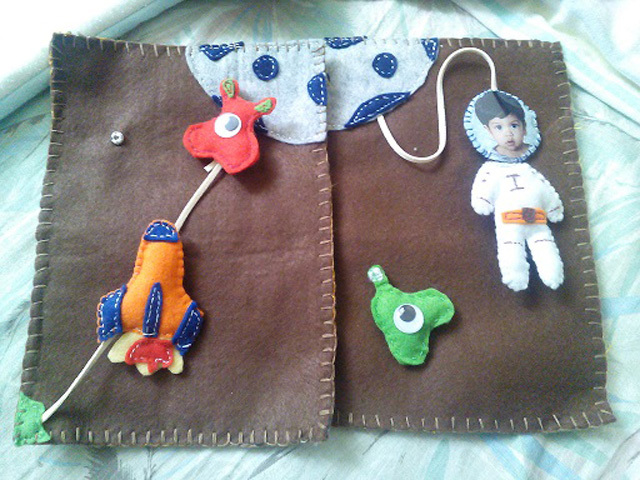 I like the Space page...tons of imagination and also for my son too. He likes to see himself in astronaut suit moreover he likes to move alien in that both page swap to another place. 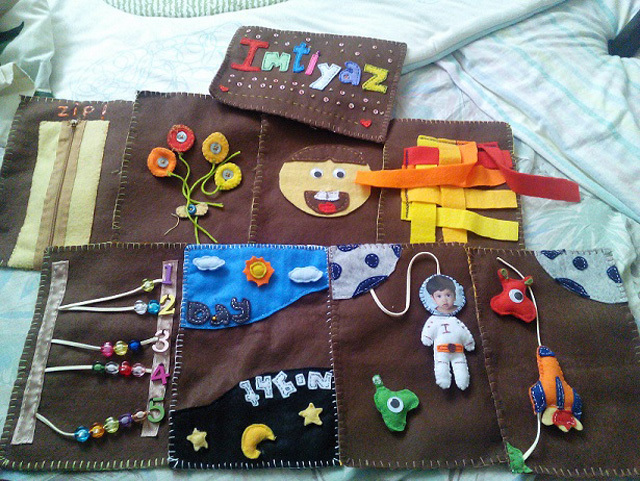 Not only that page I mention above, also for the cover as well.... unique one just only My "Imtiyaz's Quietbook" to have that cover. Thank you so much for sharing your quiet book with us Metinee! Merry Christmas! Sorry the blog's been quiet for the last couple last couple months; my excuse is that I was nine months pregnant, and then for the last six weeks I've been adjusting to having a newborn in addition to my toddler! It's been great fun, though, and we're very happy to have our new little daughter with us. Today I get to share a Christmas quiet book with you. 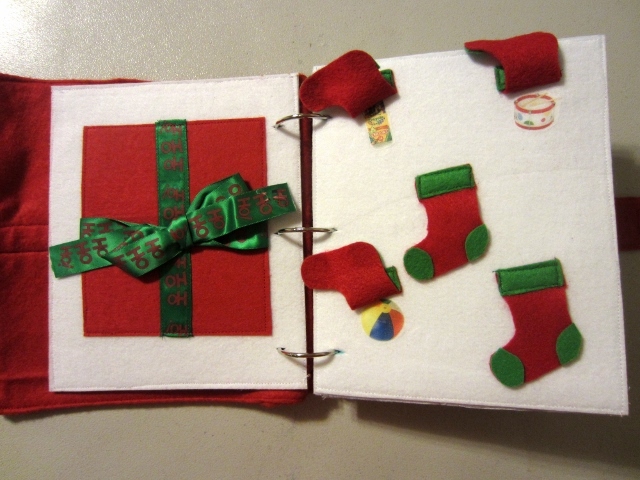 Made by Audrey from The Sensible Home, this book has lots of holiday-themed activities. There's a Christmas tree with lots of textures, a present to tie the bow on, stockings with fun little things hidden underneath, a dress-up snowman, a hot-chocolate counting game, a cookie color-matching game, Santa's boot to lace, a coat to button, a pie to weave, a mitten to wear, and a reindeer to help fly. It looks super fun, and would be such a great book to have! Take a look! Audrey -- I'm a Southern girl at heart turned Northern transplant, balancing work, motherhood and homemaking with a smile (and healthy sense of humor). 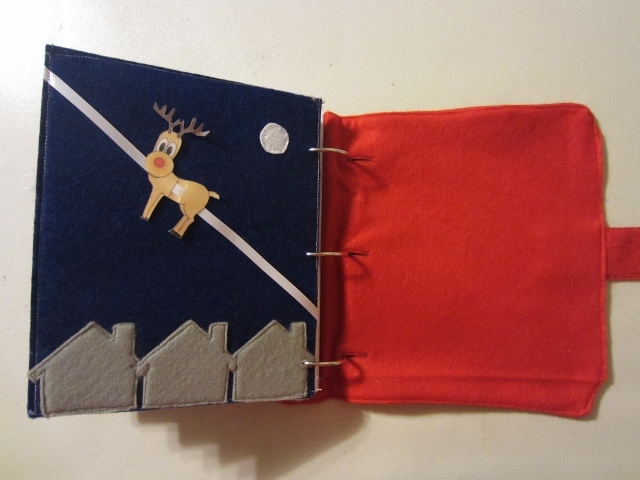 I made this quiet book for my two-year-old son, Owen. I'm a total amateur. I have had a sewing machine for almost six years but was too intimidated to turn it on until about six months ago. My late grandmother was an accomplished seamstress, and I took one lesson from her when I was in middle school -- and hated it. Now, I wish I had paid more attention! I'm an experienced cross-stitcher, so that helps, but otherwise I'm teaching myself with books, YouTube videos and the help of a local sewing shop. This book took me about a month to finish, working only 1-2 hours a day (and not every day). I started it just after my son's second birthday on Nov. 10, and didn't do anything with it during the week of Thanksgiving, and only worked on it an hour or two at night or during his nap time on the weekends (another 1-2 hours). All told, I'd say about 50-55 hours. I did! I linked to all of them in my blog post here: The Sensible Home: Christmas Quiet Book Look-Through. If there's not a link, I just used free clipart or freehanded them. 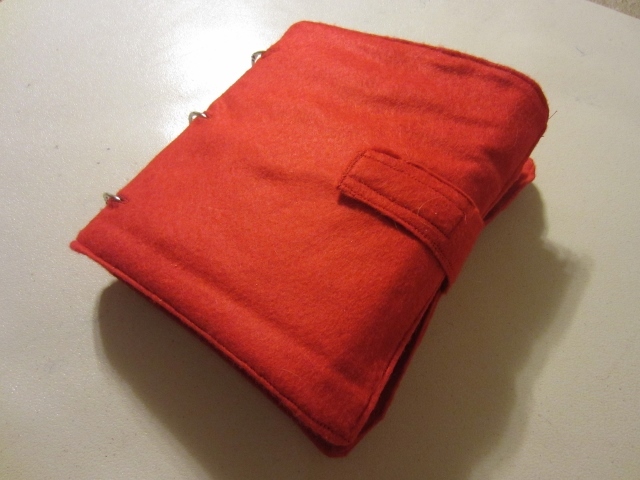 I followed the tutorial offered by Serving Pink Lemonade here: Serving Pink Lemonade: Quiet Book Cover, with two exceptions: I used felt, not flannel, as the cover fabric, and I went with metal three-ring loose-leaf binder rings instead of ribbon for the binding. I also didn't add a cover page as she did. Like Serving Pink Lemonade, I went with Pellon for the pages, with stiff colored felt added to some of them to change up the all-white backgrounds. Mostly felt, but also some cotton fabric, laminated card stock, ribbon, faux leather, shoelaces, buttons, and embellishments like mini pom-pons and pipe cleaners. Good question. 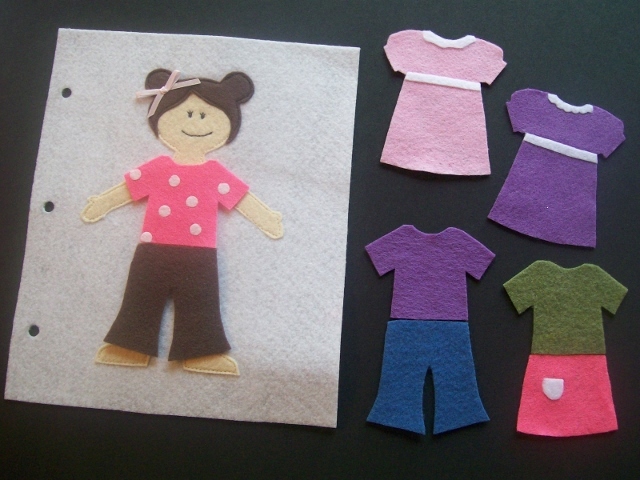 A lot of what I used was already in my craft stash (like the embellishments, the fabric and about half of the felt). I'd say I spent less than $50 -- the most expensive purchase was the Pellon, and I also bought a bulk roll of fusible webbing to help affix pieces to the page. 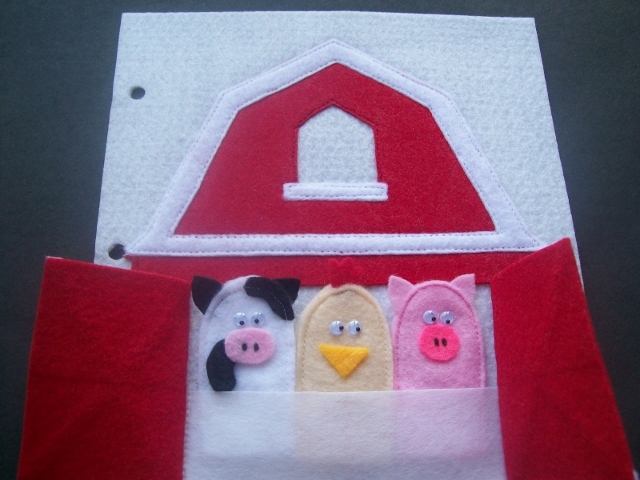 The remaining pieces, like the felt and thread to sew it all together, were just a few dollars. I have two -- there's a two-page spread that I'm pretty proud of, with one page featuring a hot-chocolate counting game and the opposite page featuring a color-matching cookie game. Both pages were ideas I came up with completely on my own, and they turned out really well, I think. I'm also a big fan of the piecrust-weaving page -- getting the scallop cuts correct was a bit tedious, and I think the final version turned out super cute and polished. 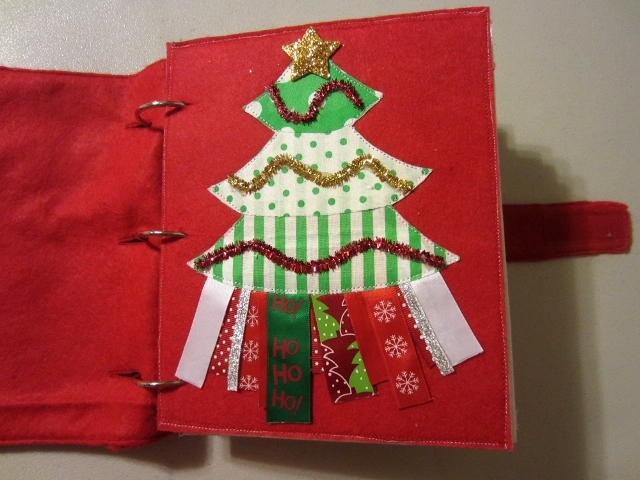 To read more about how Aubrey made the quiet book, to find the templates she used, and to learn more about each page, check out the Christmas quiet book post on her blog: The Sensible Home: Christmas Quiet Book Look-Through. Thank you so much for sharing your cheery and fun quiet book with us, Audrey!